Studies of paste microstructure with instruments such as the scanning electron microscope are an essential component of many of our investigations. Petrographic examination of structures affected by durability mechanisms such as alkali-silica reaction is a core pursuit at DRP. Scanning electron microscopy with energy-dispersive x-ray spectrometry allow us to obtain in situ determinations of the chemical composition of materials, such as this pool finish. Understanding the nature and composition of raw materials, such as this fly ash particle, is a fundamental aspect of our work. Sometimes it is important to know when there isn’t a problem. Here is an example of some happy concrete. Combining field work and petrography allows us to unravel complex deterioration histories, such as when both freeze-thaw damage and alkali-silica reaction are linked to joint spalling. Our work ranges from providing quality assurance to diagnosing causes of deterioration. With extensive experience in concrete materials and early age problems, durability mechanisms, and the performance of slabs ranging from pavements to industrial floors, we help engineers formulate solutions that range from minor repairs to removal and replacement. 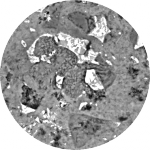 We routinely perform petrographic analyses on aggregates and microscopical air void analyses to help provide quality assurance of ready-mixed and precast concrete elements. We have extensive experience in troubleshooting early-age issues such as unusual setting behavior, curing issues, low strength and cracking. DRP has the experience and expertise needed to sort out complex problems regarding durability issues that include alkali-aggregate reaction, sulfate attack, salt weathering, freeze-thaw damage and scaling, chemical attack, corrosion and more. 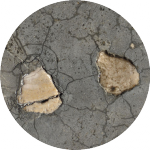 DRP has extensive experience in working with slabs and pavements that show excessive cracking, delamination, blisters, low wear resistance and other surface defects. We are also seasoned investigators of moisture migration issues and floor covering failures. Questions? We have answers. Contact us. Give us a call at 303.938.0166 to get your project rolling. 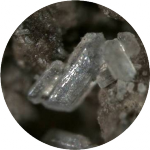 Headquartered in Boulder, Colorado, we use concrete petrography and other analytical methods to investigate concrete and other cement-based construction materials, natural rock products, and geological resources.